Numbrid on universaalne keel, mis ületavad piire. Karam Kriya on teadus, mis on inspireeritud joogi Bhajani õpetustest ja edasi arendatud Shiv Charan Singhi poolt. 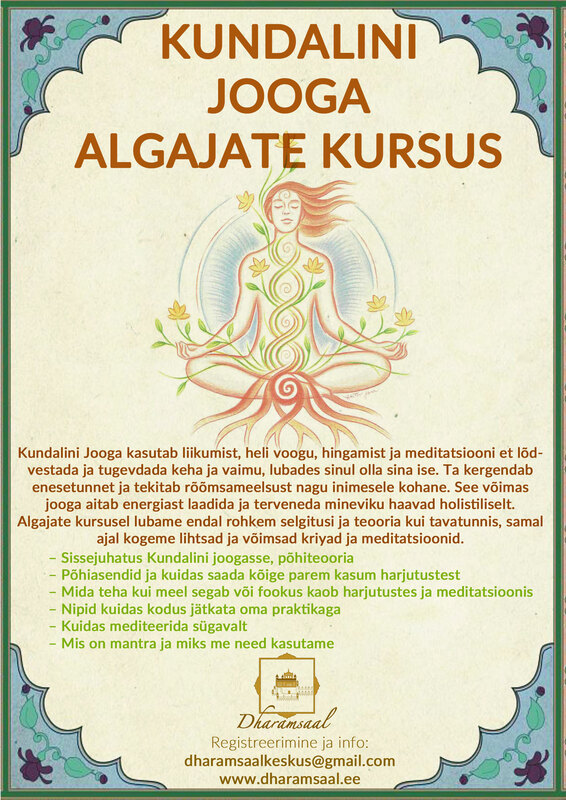 Karam Kriyas kasutatakse numeroloogiat kui muundumise interaktiivset diagnostikavahendit. Näiteks sünnipäev on sissevaateks meie elumustritele. Numbrid on teadvuse redelipulgad, erilised dimensioonid ja meie spirituaalne aluspõhi. On ka öeldud, et kui tead millegi numbrit, siis sa ka valdad seda. Teada numbrit, tähendab mõista ka nime. Karam Kriya on teaduslik lähenemine karmaseaduse mõju mõistmiseks ja isikliku ajaloo tõlgendama õppimiseks. VIDEO: Where do numbers come from? https://player.vimeo.com/api/player.js Numbers are References from Karam Kriya on Vimeo. *Does not include: residential costs (summer modules in Rajamaa, if you are tenting sleeping in bed with your own linen there are no extra residential costs), winter modules we will find an affordable place with low costs. *Food costs will be shared by all participants and/or we may decide to order in. Karam = Structures that take us through time but with no result other than repetition. Kriya = Completion of these structures and the establishment of Dharmic structures. Dharmic structures are vehicles of awareness that use time to go beyond time. Karam Kriya means “whole-hearted, soulful action which delivers you into the lap of your own destiny”. Karam Kriya is the name that in 1996 Yogi Bhajan personally gave to Shiv Charan Singh’s development of the teachings of Tantric Numerology (www.karamkriya.eu). Karam Kriya is the art of living and communicating in your life to realise your full potential. Utilize everything you have, within and without, because there is nowhere the divine is not. It is about action in spiritual awareness, in all aspects of your everyday life. Embedded in the lineage, teachings and technology of Yogi Bhajan and Kundalini Yoga and applying these, it utilises the intuitive, contemplative study of Numbers as essential, universal principles to reveal the underlying harmony of creation and the intimate interconnection between self and universe. Numbers in their absolute integrity and precision can also be used as a diagnostic tool of enormous flexibility and sensitivity, for example in looking at a person through the window of their date of birth. How powerful is intuition when it is informed intuition? Imagine being alone in a room, and sense what that feels like… Really go deep into the sensation of being alone. This might not be so difficult if you are reading this alone. Now somebody enters…what happens then, what does this feel like? Can you define what the difference is between alone and being with 2? It is hard, or impossible not to interact on some level with the other, right? This creates some kind of tension? And can you now go back and forth between being alone and being with two, to really start to define the specific qualities of each situation? And continue with 3 people, 4 and 5. Beyond that number the interaction between you seems to get more impersonal for each extra person, right? This is an interesting experiment to do in real life if you get the chance. Then to compare these qualities with other occasions where the Numbers are obviously present, and this can continue into all situations because on a subtle level they are always present. This is part of what we do in Karam Kriya: we look at ‘life through numbers and numbers through life’ (Shiv Charan Singh). We seek to define and sense specific qualities of each number on every level of our existance that we can come up with, personal or impersonal. This makes each workshop unique and very dynamic. Then we also look at the interaction between these qualities and subsequently between the Numbers. This allows for extraordinary insight into the processes of life and situations in each individual life, for you will discover structures; repeating patterns. We generally call these (uncompleted) structures habits or karma (Karam). Then Kriya means complete action; to complete these structures to go beyond them. We study these structures in a way that can potentially serve others to develop an insight in how to complete their patterns and develop Dharmic structures that serve them. Therefore the Karam Kriya Training is shaped as a consultation training. It is much easier to analyse the other than to analyse yourself, and through analysing each other’s life, you discover a lot about yourself. We invite you to the Court of Karam Kriya and learn to listen to ‘the last language’ which is what the language of Numbers is sometimes called. As Pythagoras already said: “If you don’t know Numbers, you don’t know anything. If you only know Numbers, you don’t know anything”. The Karam Kriya Consultancy Training is a 45 day training: 9 modules of 5 days. These modules will sometimes be divided in 2 weekends, or they will be presented as 5 day residentials. The first part of the training is to see through the mind and its many tricks; we will examine ego-mind and the games it plays from the view of spiritual insight. This will include a study of the 7 steps to hell contrasted with the 7 steps to happiness. In addition you will learn to recognise the cosmic fairy tale that is being played out in the lives of every individual being. With this transparency of the mind we will take a new look at the concept of a professional code of ethical conduct. Freeing the consciousness from the trap of mistaken identity makes it possible to then train the mind to the true vision and understanding that will result in our words becoming a bridge between the individual and the cosmic, the personal and the universal. The mind will be able to perceive and honour the divine order in action. This part of the training is also to explore the professional basis for Karam Kriya Consultancy, the game of questions and answers, the use of the visual faculty of the mind and the nature of knowledge. During this 2nd stage we will introduce the basic universal laws that are at work behind every system, religion and philosophy. While the universal attitude is one of loving service, the common essence, or building blocks, of every teaching is the subtle language of numbers. You will become familiar with the magic of numbers and start to develop a kind of x-ray vision that allows you to see the inner structure of all things and people. We will look deeply at the specific themes of each voice that plays out its existence in everyone’s lives. We will learn to be flexible enough in our own communication, that we can choose the voice that we respond to others with. We will know the mysterious voice of magic, the compassionate voice of medicine, the rational voice of science, the intuitive voice of art and the integrative voice of learning. This part of the training will be for advanced and specialised application of the knowledge of the numbers and the 5 voices. We will look at implications of these insights to group work and other specialised areas according to requirements of the students on the course. This stage will include the supervision of the student in the study and application of their choice. This stage will be divided in 3 parts, using the ‘higher’ numbers 6, 8 and 9 as guidelines.